Various software exists that generates CNC code from DXF or DWG files. Not all of the software have the ability to transform splines into Arcs for the CNC machine to read. 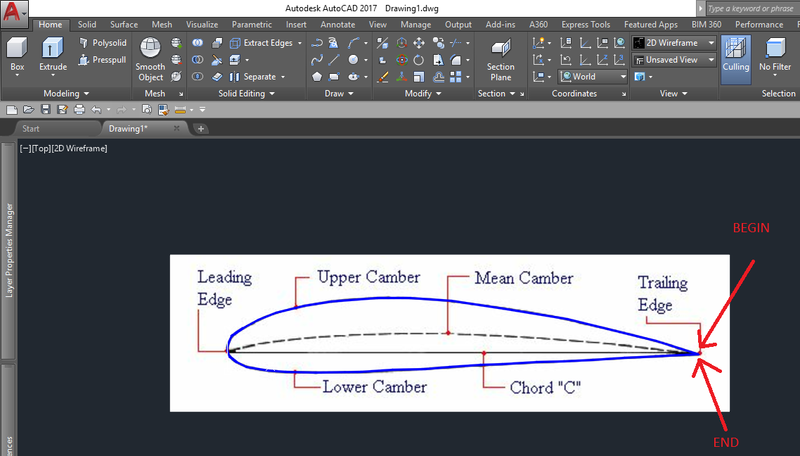 Yet both types of AutoCAD splines (Fit and Control Vertex) are often used in design or reverse engineering. Below is a polyline in blue that is traced over a NACA wing profile. The sharp corner was the point for the beginning and the end of the polyline, and the “Close” subcommand was not used. Two copies of the polyline is placed on top of the existing one. 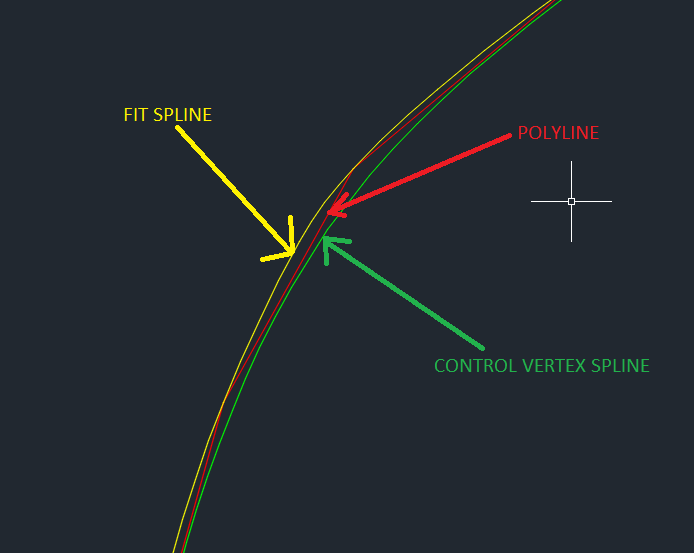 The “Polyedit” command is used to transform the one into a “Fit Spline” and the other into a “Control Vertex” spline. Looking in detail at the little white rectangle the difference can be seen. Here the blue line is changed to red for visibility. To transform the splines to arcs they are exploded. 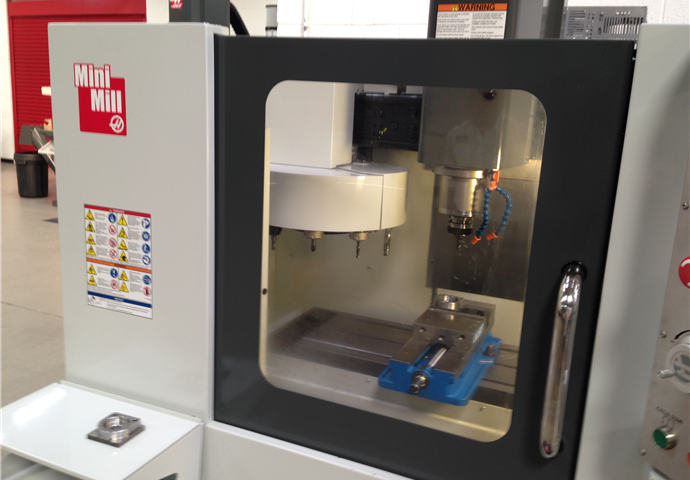 The “Fit” spline is converted to arcs automatically and the CNC path can be readily created. However, the “Control Vertex” spline is converted to straight line arcs. This is especially unwanted when CNC machining. Instead join the exploded Control Vertex Spline back into a polyline. This time convert it into a Fit spline. Now it will explode into arcs as opposed to lines. Whatever the project you are working on don’t shy away from using splines if you need to manufacture something on a CNC machine that can only work with arcs! Use the methods described above and in the worst case scenario you will have to iterate once.